Eastside Rail Now! is a grassroots environmental and rail advocacy organization that was founded in early 2007 to fight King County Executive Ron Sims' plan to scrap the strategic Eastside railroad and replace it with a paved road for bicycles. This completely senseless action would have wasted more than $160 million of taxpayers' money. Worse yet, after removal it would be vastly more costly and extremely difficult politically to put the tracks back in, thereby setting back transportation and environmental progress on the Eastside by decades! The Eastside railroad is particularly well suited for use as the core of a low cost and environment-friendly regional commuter rail service. This is because it parallels I-405, which is the most congested freeway in the entire Northwest, and passes through or near most major destinations on the rapidly growing Eastside. Because the tracks are in fair-to-good condition, an initial, pilot commuter service using state-of-the-art DMUs could be launched on the railroad in just a few months. And a full-scale commuter service, with trains running over existing tracks all the way to Everett and beyond in the north and to Tacoma and beyond in the south, could be in operation in two years or less. More! More new and updated pages . . .
To learn more about Eastside Rail Now! 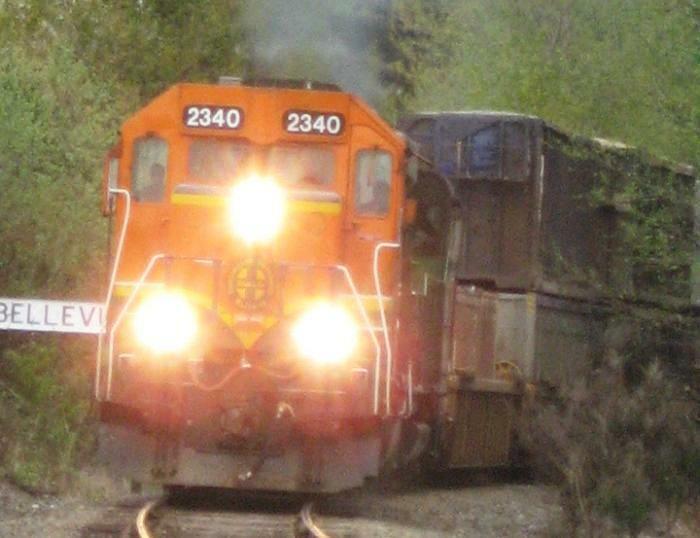 and about what you can do to help, please visit the pages About Eastside Rail Now!, The Eastside Railroad, The Great I-405 Boondoggle, Global Warming, Ron Sims' KUOW Interview, Ron Sims' Plea to Scrap the Railroad Immediately, The PSRC Study and How to Help. Also be sure to see the Scenes page for a brief graphic tour of the railroad. A complete listing of contents is available on the Site Index page. This site created January 4, 2007. Last updated February 27, 2010. Copyright © 2007 - 2010 Eastside Rail Now! All Rights Reserved.